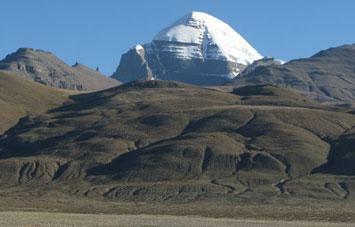 Adventure Pilgrims Trekking offer Mt. 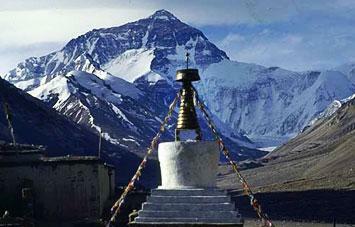 Cho Oyu Expedition, the sixth highest mountain on the planet, has the best success rate... It is a technically straightforward climb with the best safety record for an 8000m mountain. 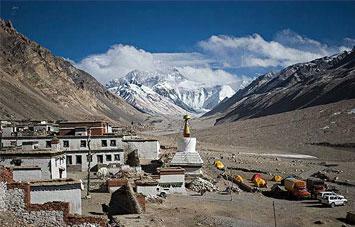 And you don't have to trek weeks merely to get to base camp, so logistically it is easy. Despite the relatively non-technical nature you MUST have some mountaineering experience and MUST have been to 6000m before (Denali/Aconcagua/Island Peak etc). You will need to climb on steep, near vertical ice for 25 metres and on a similar steep rock section, both with fixed ropes, traverse hard ice on a fixed rope and abseil down these sections several times. Don't underestimate the difficulty and strength of will required to climb at over 7000m. Day 04 : Drive to Kodari and transfer Zhangmu 2300m. Day 05 : Drive Nylam 2750m. Day 07 : Drive Tingri 4340m. Day 09 : Drive to Chinese Base Camp 5000m. Camping. Day 11 : Prepared load to Yak for Advance Base Camp. Day 12 : Base Camp - Middle camp with Yaks. Day 13 : Middle Camp - Cho Oyu Advance Base Camp 5700m. Day 14-39 : Limbing Period for Cho Oyu 8201m. 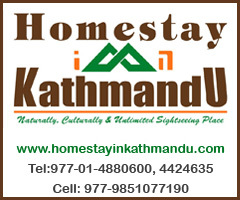 5 nights accommodation in Kathmandu with bed and breakfast (3 star hotel). Kathmandu - Zhangmu - Base Camp - Zhangmu (vice versa) are provided the Mini bus/Jeep for the members and Truck for the equipment.